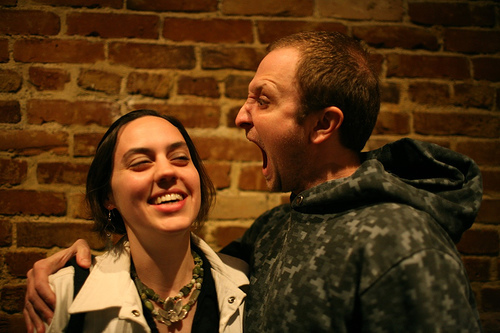 Jay and Ryanne are both ex-television producers and editors who were born anew into the videoblogging world in 2004. Ryanne is the Co-Author of Secrets of Videoblogging. Jay is the Co-Author of Extreme Tech: Videoblogging. Both are the Co-Producers of Pixelodeon: The Annual Independent Video Festival, Vloggercon: International Videoblogging Conference and NODE101: Open Source Videoblogging Education and Resources. We are experts at producing a variety of video projects, many of which are custom created for each organization. 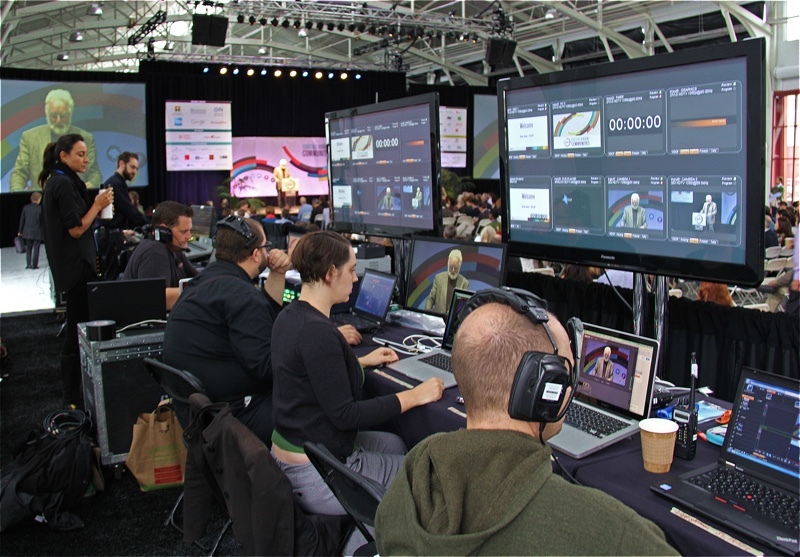 Examples below show that we produce short documentaries, activist campaign videos, live streaming of events and the management of all session documentation for large conferences. 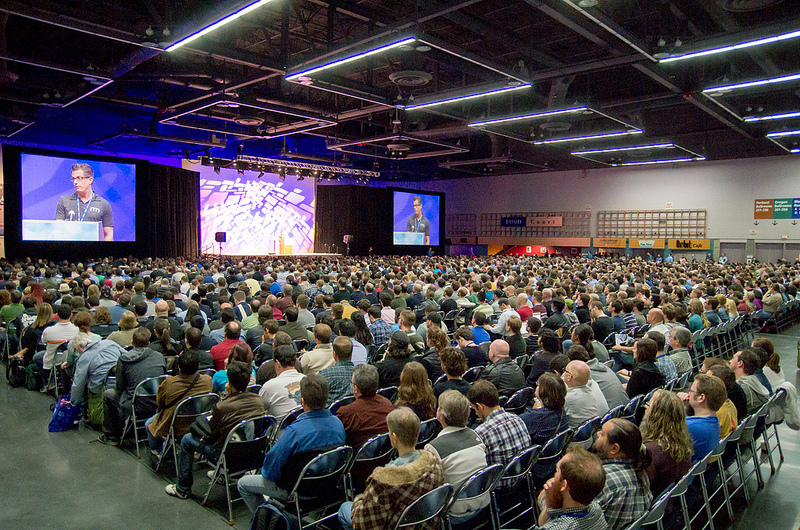 For Drupalcon we record up to eleven simultaneous speakers, five sessions a day, for three to four days straight. These 120+ videos are processed and uploaded within hours so people around the world can participate in the conference. This helps create a community archive linking their past discussions to future events. Connecting communities in realtime. We have live streamed events for organizations who need to get their message out and communicate to a wider participatory audience. Most interviews shot by us in one day. Edited using Creative Commons photos and footage in Final Cut X. Shot over 2 days, edit over 2 weeks using 15+ years of RAN video/photo archives. Shot over 2 days, edited in 24 hours. Shot in one day. Edited and posted online in under 24 hours. (cc-by) ryanishungry.com. Design by FCT.